where can i buy this back issue? Hi, sorry but I don't know exactly how you can. I think you should send a message to the Garage team. For sure they can help you :) They, too, have an FB page! I just wanted to ask if there are two separate magazines for the 2 different covers or is one magazine tapos "back and front" lang? 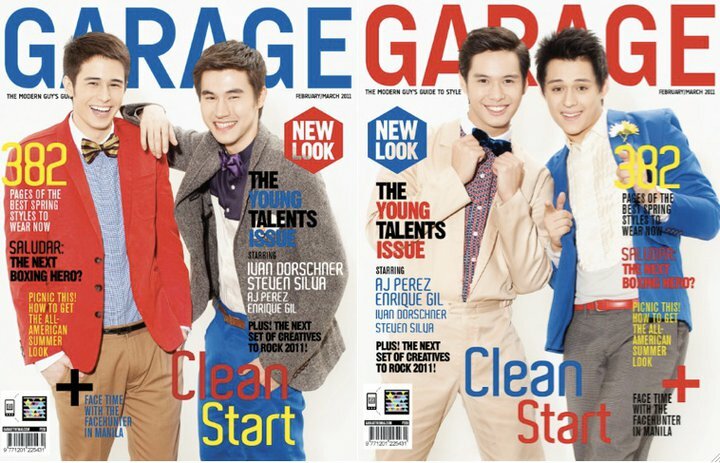 .. baliktaran ba yung Feb/Marc 2011 issue with Aj-Enrique and Ivan-Steven? Did they release 2 alternative covers just for this Issue of Garage Magazine?